The result should pave the way for expanded use of the medicine, which is being developed and marketed with Merck & Co under a deal struck last year. Analysts said first-line use could boost Lynparza sales by more than $1 billion a year, although experts will first want to see the scale of the clinical benefit when full results are presented at a medical meeting. The two companies did not say where they planned to present the data but one obvious venue would be the ESMO cancer congress in Munich in October. Lynparza is already approved for later use in patients with so-called BRCA genetic mutations. Its latest success could expand the number of women with newly diagnosed ovarian cancer who are suitable for the drug by 30-50 percent, AstraZeneca believes. Lynparza – abandoned at one stage by AstraZeneca but revived by CEO Pascal Soriot when he took over in 2012 – became the first drug in a class known as PARP inhibitors to reach the market when it won U.S. approval at the end of 2014. It now faces competition from rival products made by Tesaro and Clovis Oncology. 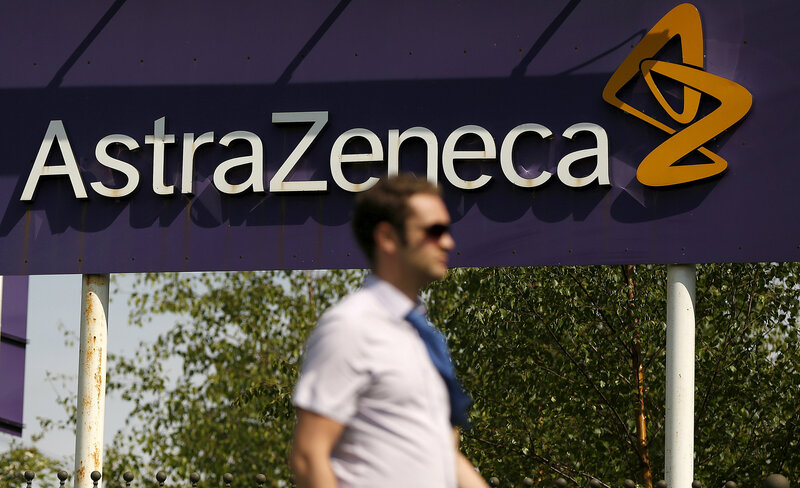 Based on the strong results seen in the latest Phase III study, known as SOLO-1, AstraZeneca and Merck said they would talk to regulators about approving the earlier use of the medicine in women with BRCA mutations, which can drive tumor growth. “It is the first time that we see a significant and clinically impactful improvement in progression-free survival in the first-line maintenance setting for women with BRCA-mutated ovarian cancer treated with a PARP inhibitor,” said Sean Bohen, chief medical officer at AstraZeneca. Deutsche Bank analysts said this could represent around a $1 billion incremental sales opportunity for the drug, on top of its existing approved second- and third-line use, while Jefferies put it at $1.6 billion. A spokeswoman said AstraZeneca viewed competitors as 18 months behind in generating similar clinical data. The closest rival is Tesaro, which is expected to report first-line ovarian cancer results next year.